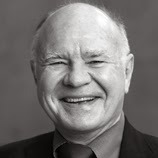 Marc Faber said his outlook on the Indian market has turned more bullish than what he was a while back. He has been accumulating India for a while and although he doesn’t believe that this is a multi-year bull run for Indian equities, he does believe that India will outperform other global equities for the next six-12 months. “We don’t know whether this will be a multi-year bull market or whether much of improvement in prices since the lows late last year are essentially already discounting a lot of the good things that could happen. We don’t know whether they will happen but they could happen,” he told CNBC-TV18. He also says that he has been accumulating India and specifically has been grossly overweight on Indian banks. He believes that in 2014 banks is the place to be despite the run up that we have already seen. Financial investors can create huge profit on less investment through the Commodity Silver Tips .